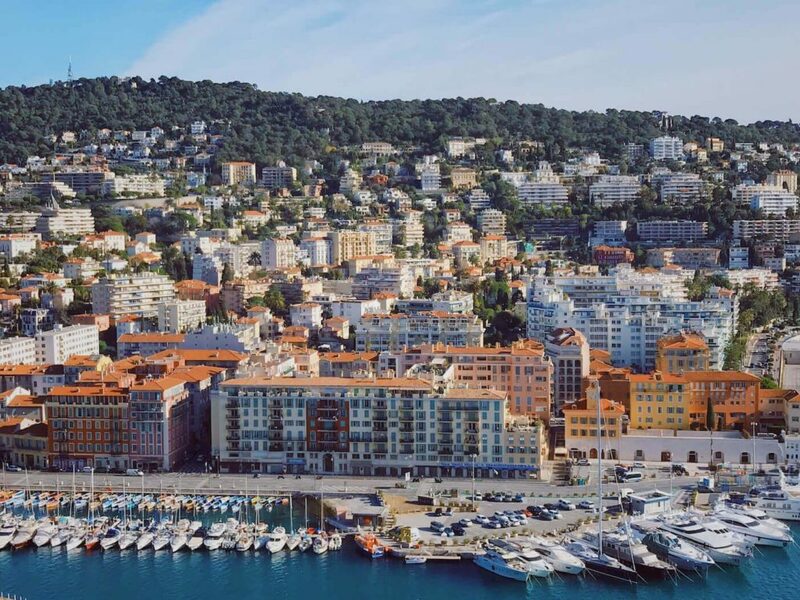 A visit to the fabled ​‘French Riviera’ wouldn’t be complete without stopping by breathtaking Nice. This gem of a town perfectly encapsulates all there is to love about the Mediterranean experience: from its shimmering coastline to the delicate seafood plucked from its azure waters daily. In short, few places are as synonymous with living the good life as Nice. 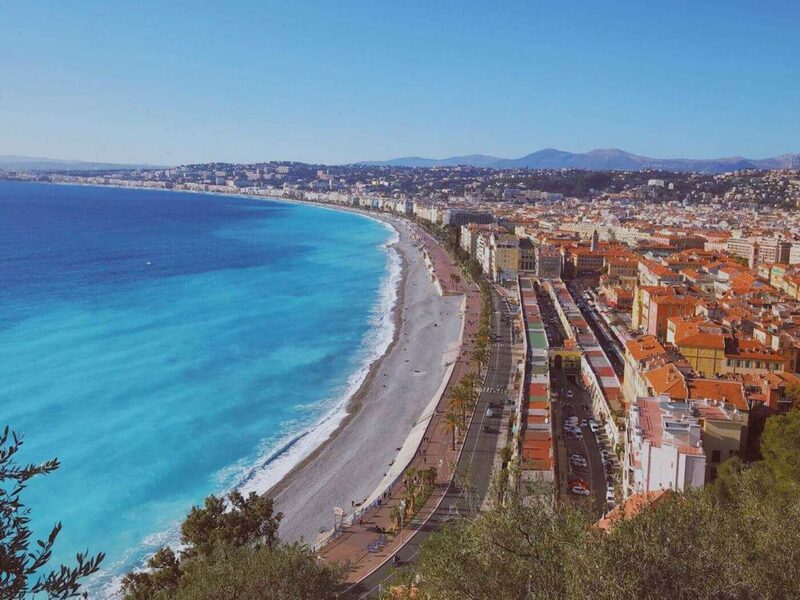 Here are five tips that will have you enjoying yourself like ​‘la population locale’ on your next getaway to Nice. 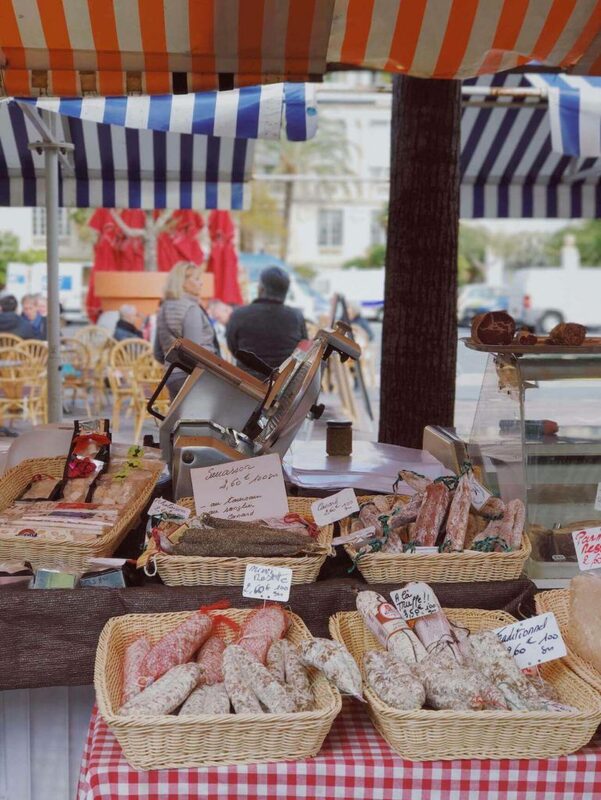 Hunt for local produce at Nice’s flower market. All photos by the author. 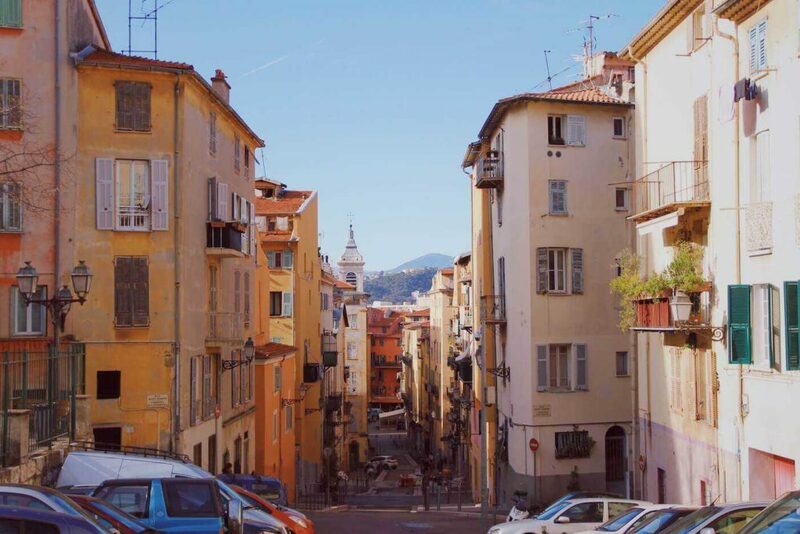 As soon as you’ve unpacked your things, follow the Promenade des Anglais to Old Town. 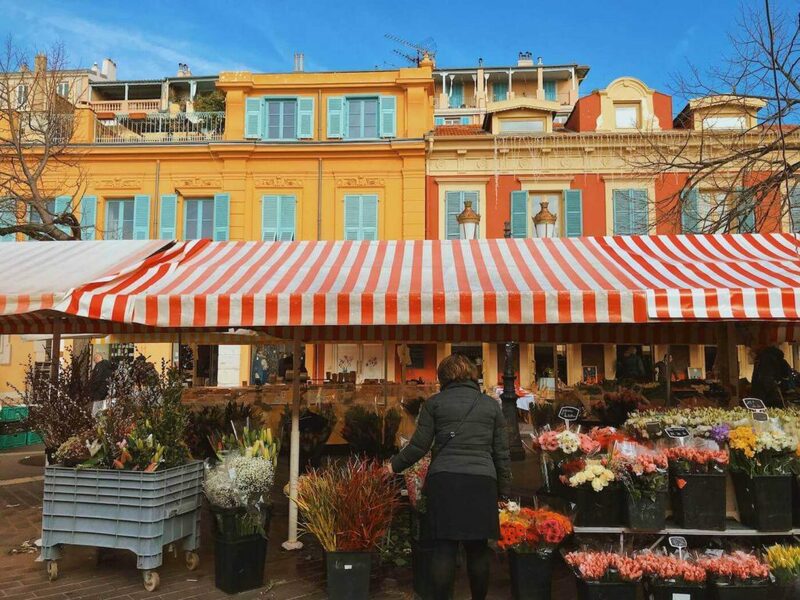 Tucked away on a street parallel to the promenade, you’ll come across the famous Nice flower market. Have a gander at the stalls and pick up a taste of the fresh olives, cheeses and charcuterie on sale here. After you’ve lined your pockets with French delicacies, I highly recommend you take a walk up to Castle Park and have yourself a lovely little picnic. The flower market is open every day except for Monday, Sunday afternoon and public holidays. No visit to Nice would be complete without a stroll through the winding streets of Old Town leading up to Castle Park (Montee du Chateau). Although the walk should take you no longer than twenty minutes, you will probably end up taking your sweet time to enjoy the many romantic scenes you’ll encounter along the way. So have your camera on hand! A view well worth the hike! Once you reach the lookout point at the top of the hill, you’ll be rewarded with the quintessential view of Nice: sparkling azure waters, picture-perfect coastlines and mountain ranges dotted with endearing villages. While the panorama of Nice’s promenade is indeed stunning, you shouldn’t forget to enjoy the view on the other side of the park either. Here, you’ll be able to snap a picture of the beautiful white yachts docked at Nice’s impressive harbour. Go for a delicious seafood dish at Le Safari. Want to rub shoulders with the locals? Then head to Le Safari for a memorable seafood lunch. 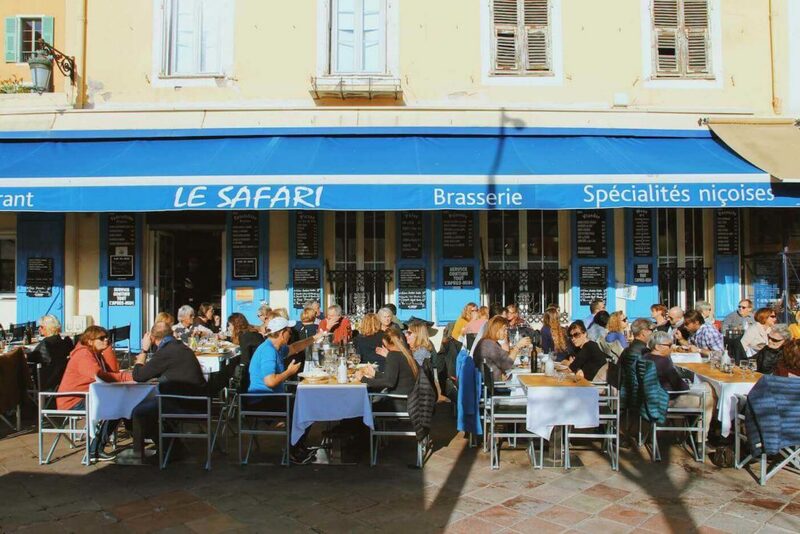 This restaurant is abuzz with French chitchat and flirty but charming waiters, and its outdoor terrace is perfect for soaking up some vitamin D along with your meal. 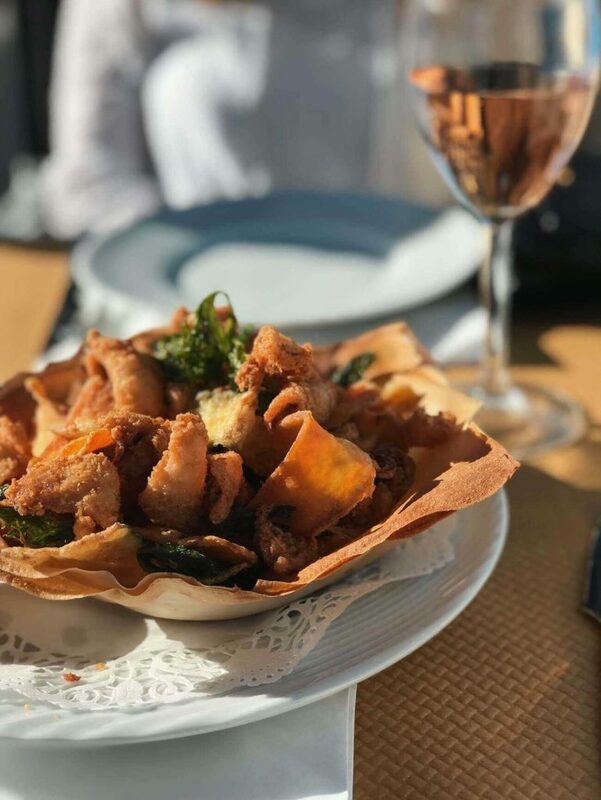 I recommend you order yourself a glass of rose and try their specialty dish: fried calamari and vegetables served in an edible bowl. Alternatively, the ​‘parillade’, a plate of delicious, fresh fish, is also a top order at this bustling eatery. 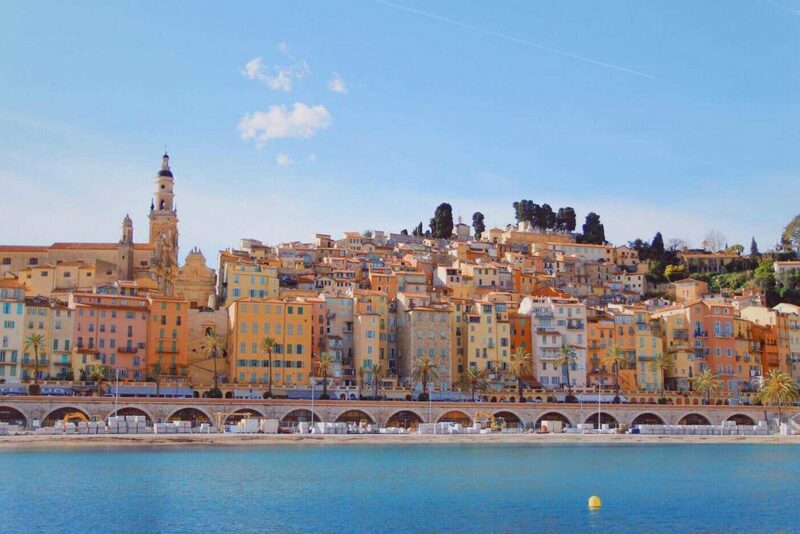 Vibrant Menton is just a short train-ride from Nice. Make the most of your time on the French Riviera by catching the train to Menton – one of the many quaint towns near Nice. Once you get off the train, you’ll need to walk along the ocean for about fifteen minutes before you hit the most beautiful part of town. From here, I recommend you head over to the harbour area to get that truly famous shot of Menton. Walk all the way to the edge of the pier to get the best view of this picturesque and colourful town. 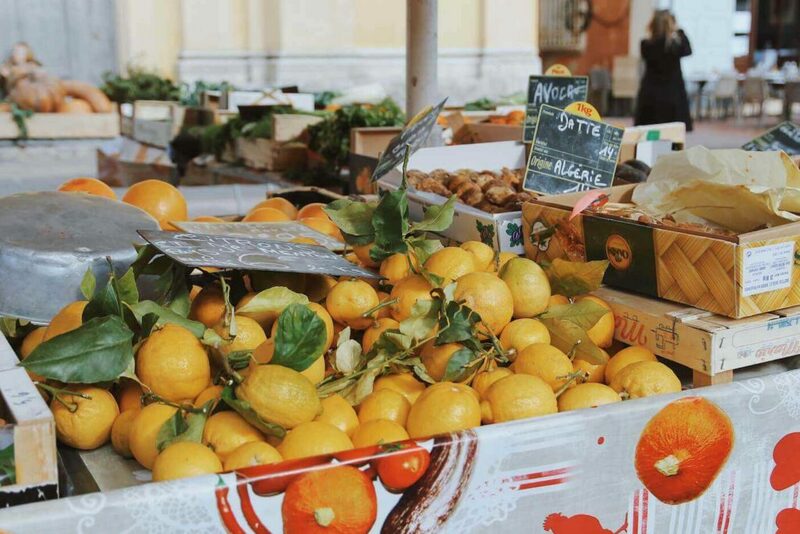 A town famous for its lemons, you’ll find many lemon-based dishes, drinks and pastries on offer at most establishments in Menton. While in Menton, check out the lush Serre de la Madone garden if you’re interested in rare plants, or head on over to the Basilique Saint-Michel and marvel at its stunning, 18th-century bell tower. Menton is also famous for its lemon products and serves up delicious lemon inspired dishes and drinks in most establishments. 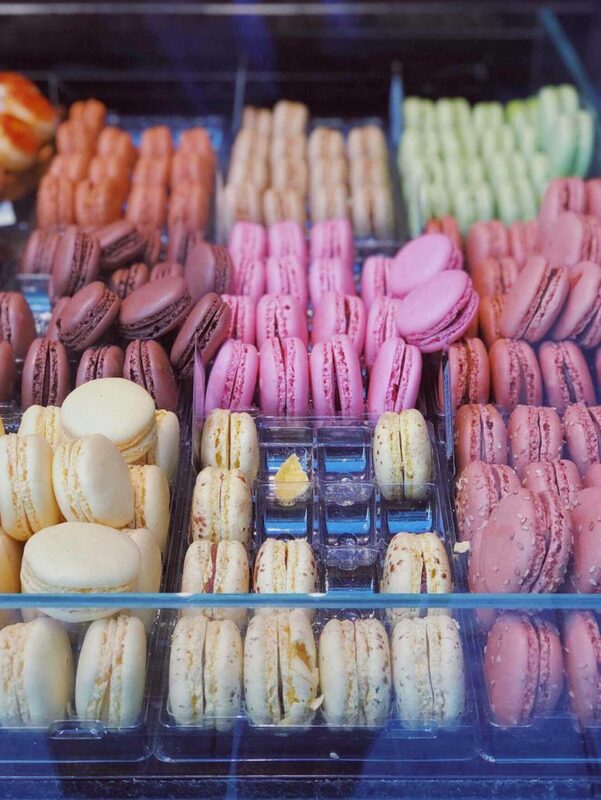 A visit to France wouldn’t be complete without munching down a dozen iridescent macrons, would it? These sugary treats are the perfect gift to take home too, so better buy more than you need. Luckily, Canet Patissier and Chocolatier makes some of the best macrons around. 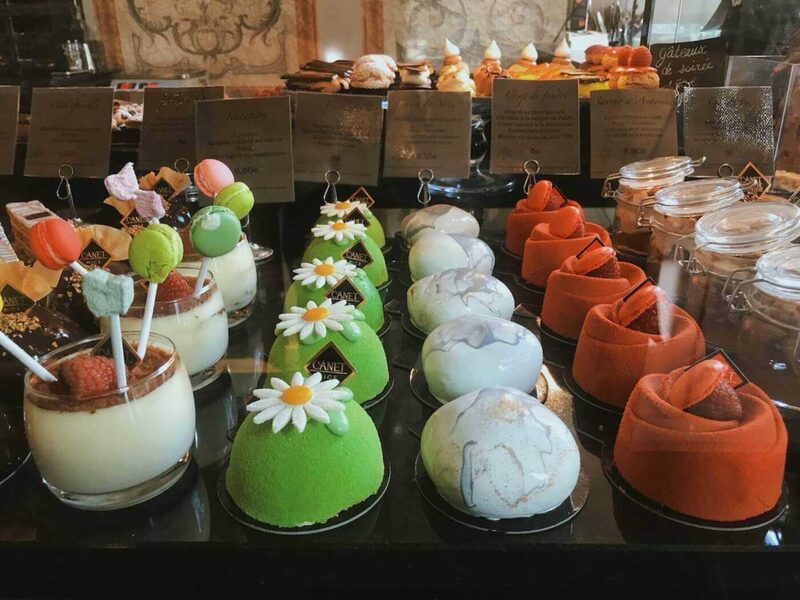 Located on a buzzing street surrounded by charming boutiques and restaurants, this master pastrymaker’s handmade treats are to die for.